Cruise in Ultimate Comfort! With 6 contemporary models to choose from, loaded with features, and sleeping capacities ranging from 12 to 22 people, there is a houseboat for every kind of group and budget imaginable. Rentals are available at gorgeous Shasta Lake in Northern California near Redding. 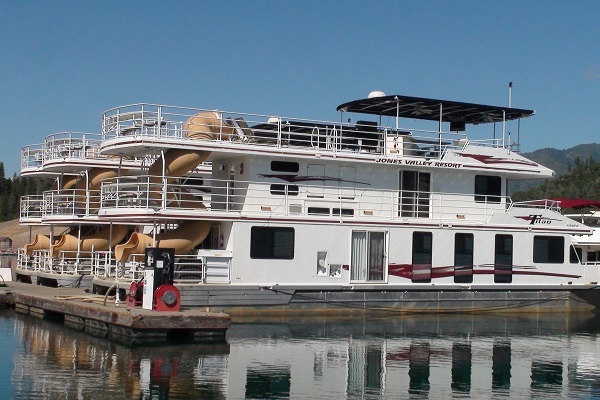 Our houseboats are available for 3, 4, or 7 night voyages, with guaranteed boarding by 3 p.m.!